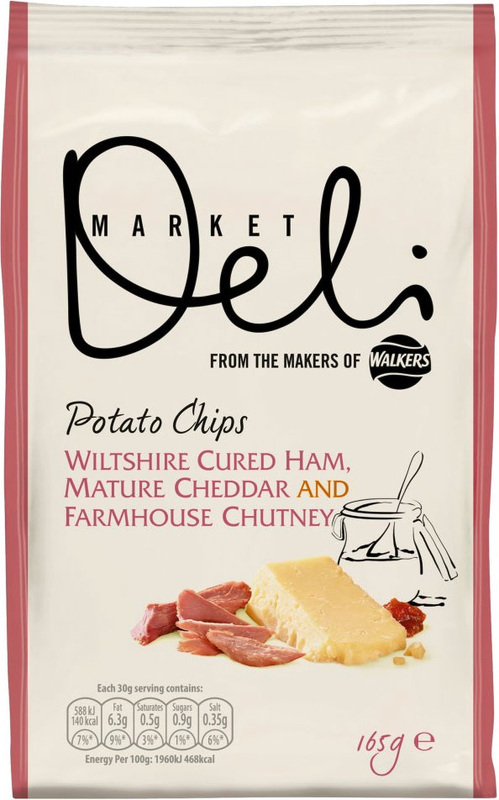 The additional thickness of these Crisps allied with the regular cooking process utilised in their production allowed for a consistent Crunch that was not hard and brittle like many Handcooked Crisps, but instead and firm and meaty munch with gradual and well timed deterioration. These were satisfyingly attractive Crisps that made them inviting and promising. They were thickly cut and fairly flat in shape. The bag design ensured that there were few broken Crisps. The colouring was a yellow infused with orange patches. There was also a sprinkling of green flecks here and there. A Nose Plunge Test revealed little but there was a slight nose stinging aroma that may have hinted towards the Chutney aspect of the wordy flavouring. With so many alleged flavours thrown together, we set out to identify each one. There was a Ham sort of background. There was also a sweet creaminess that would presumably be the Cheese. There was most certainly a weak but certainly sweet Pickle flavouring. So, no, not all flavours were present in unto themselves, but what about the combo? It was actually quite pleasant. Very sweet and creamy Ham would not have sounded quite so good on the packet though, so we will leave it there.